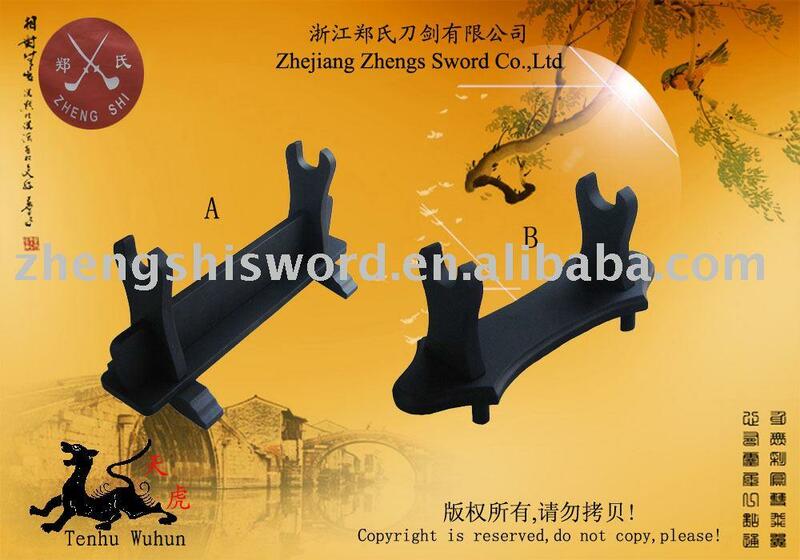 Includes a table top display stand . 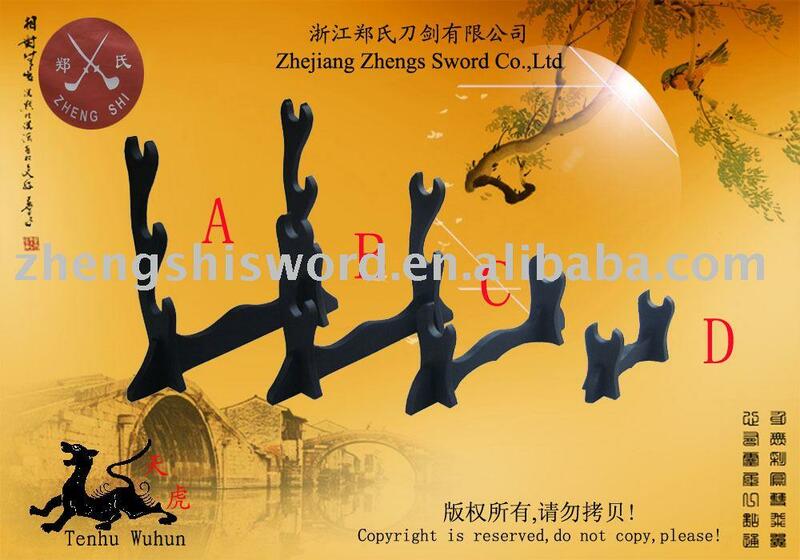 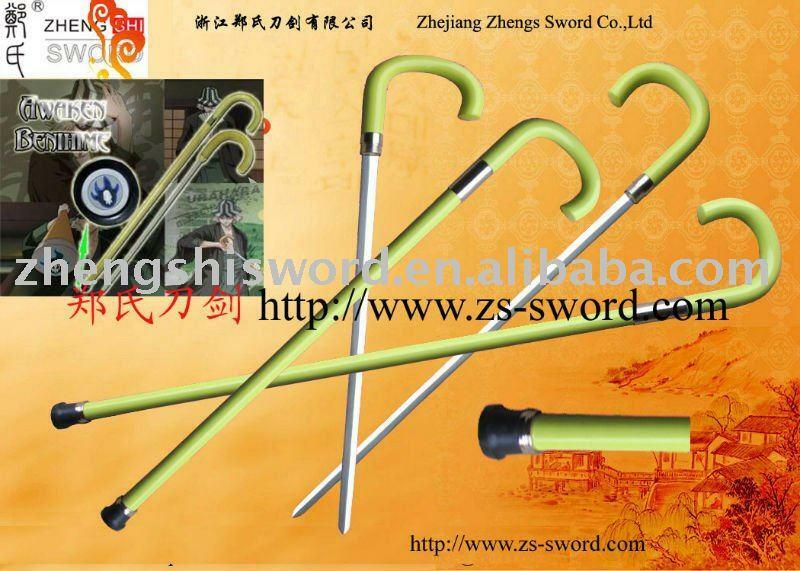 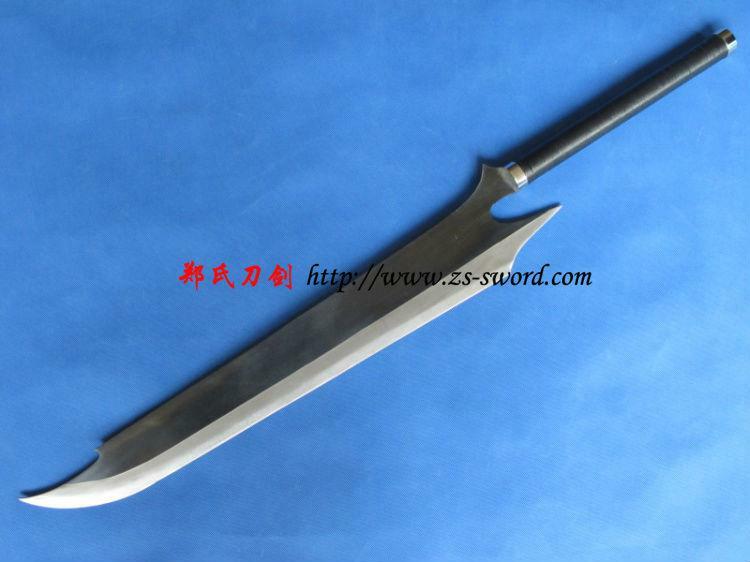 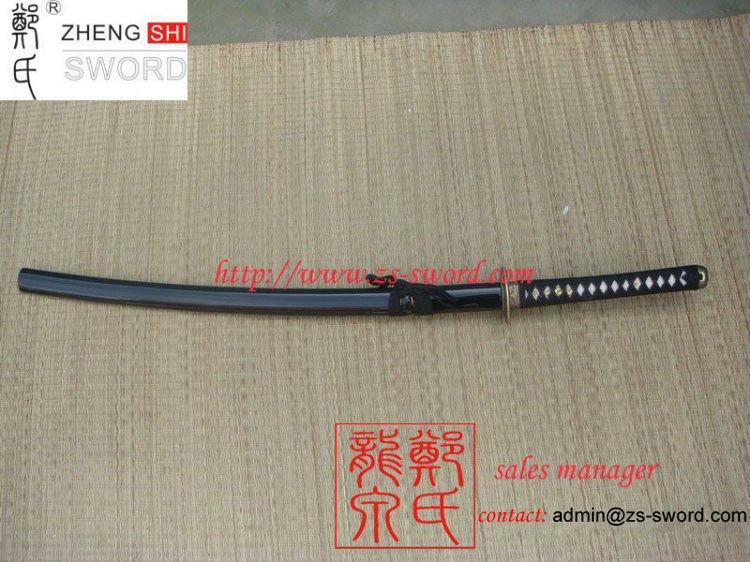 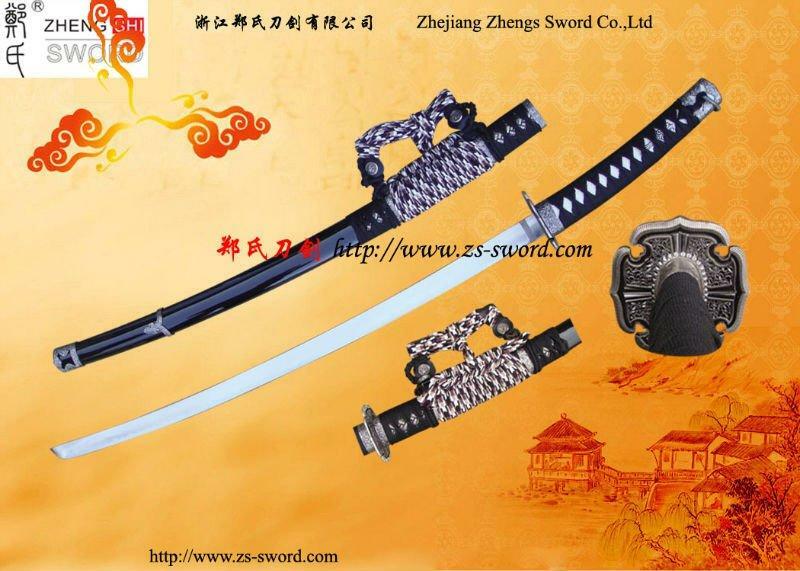 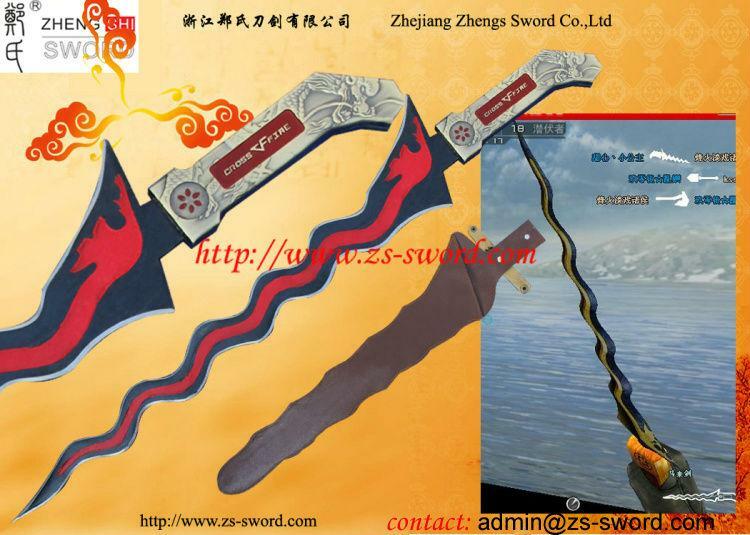 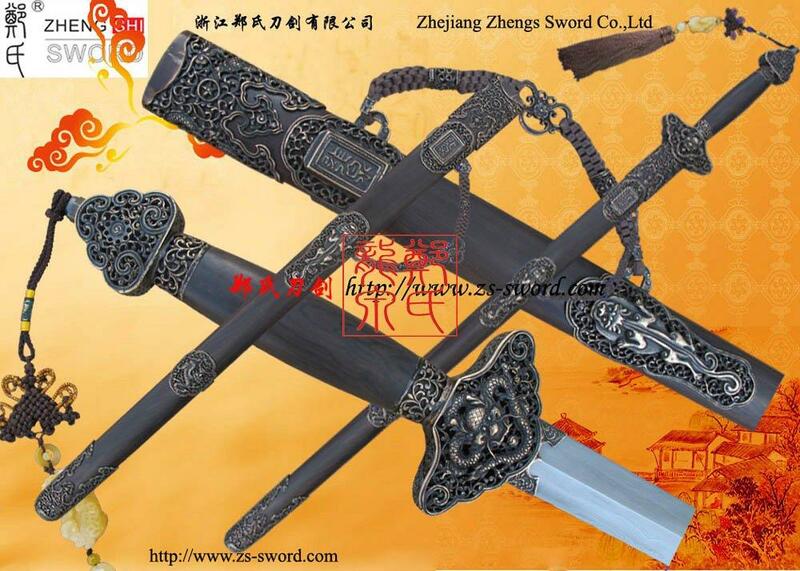 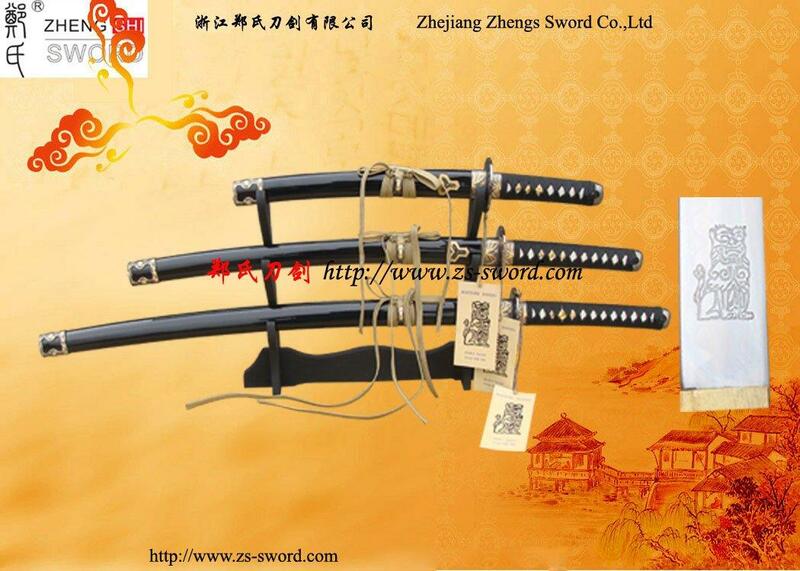 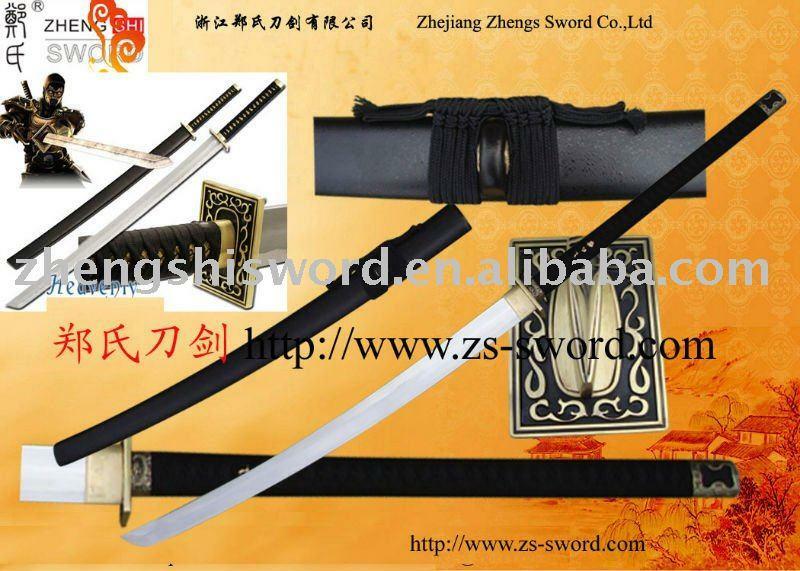 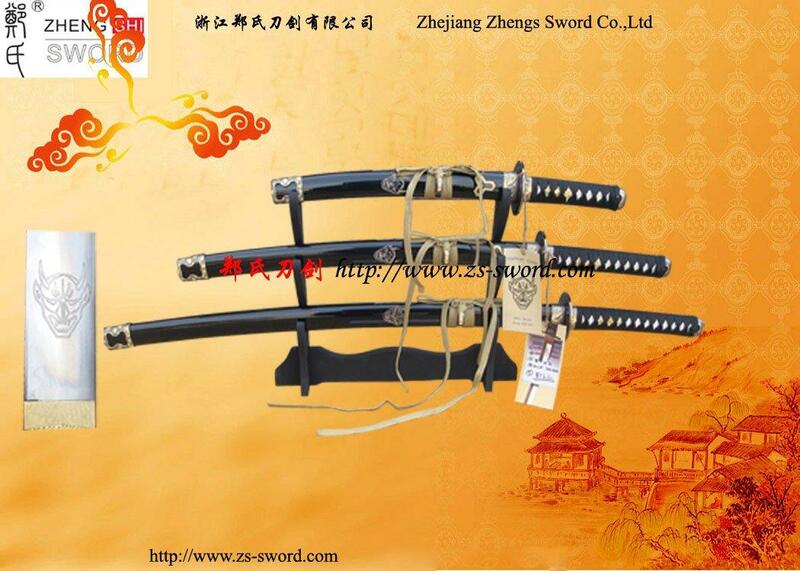 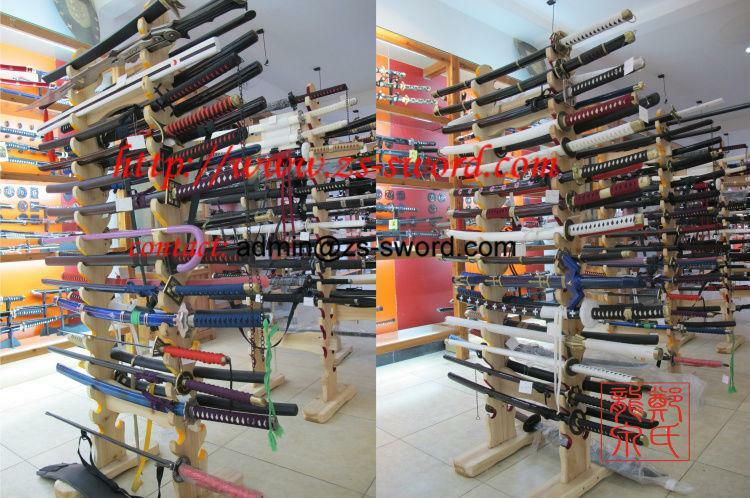 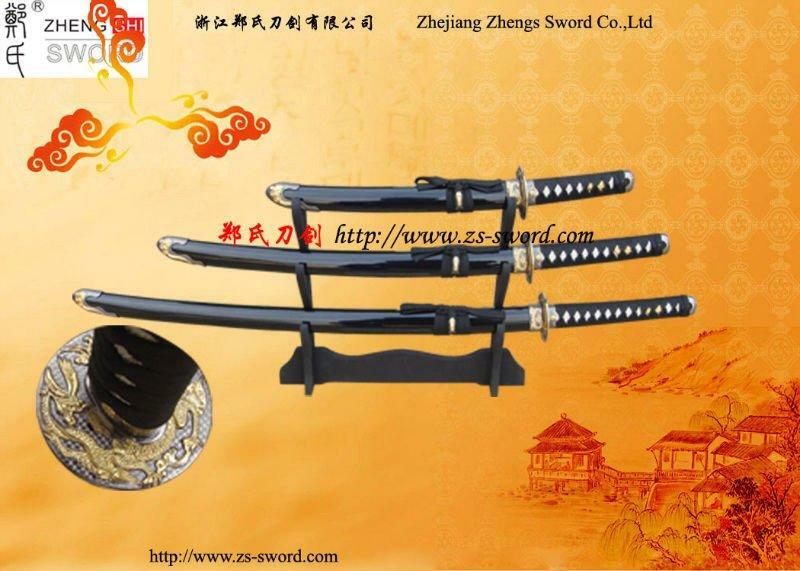 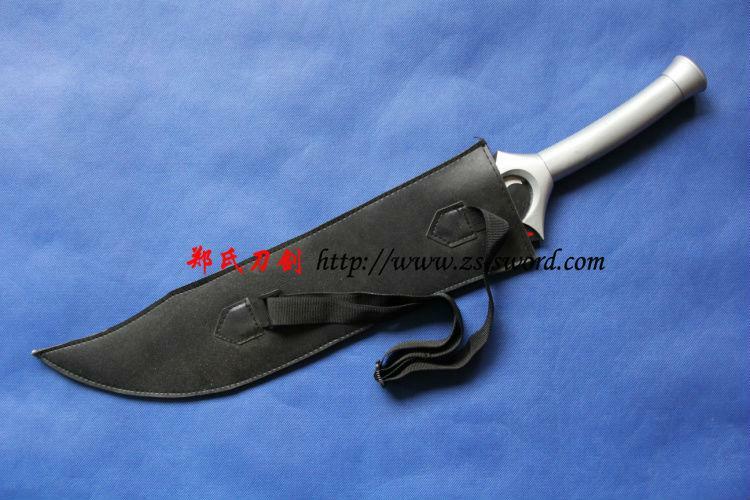 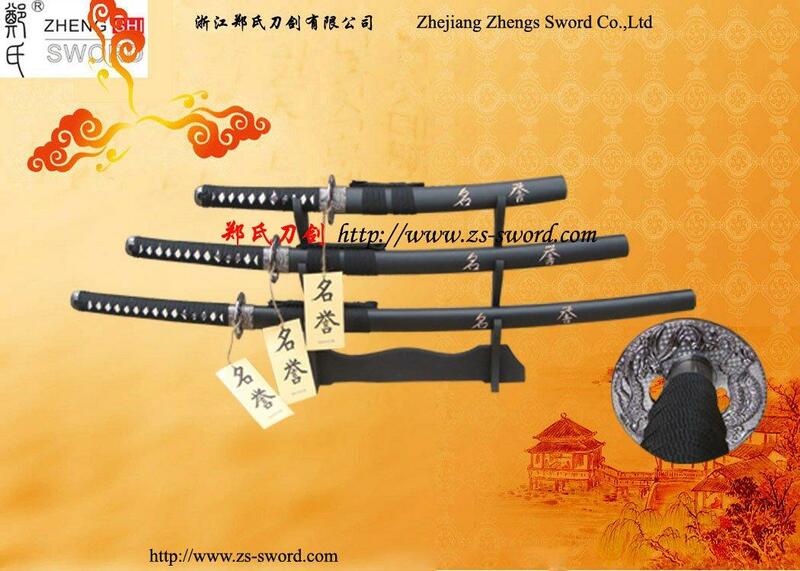 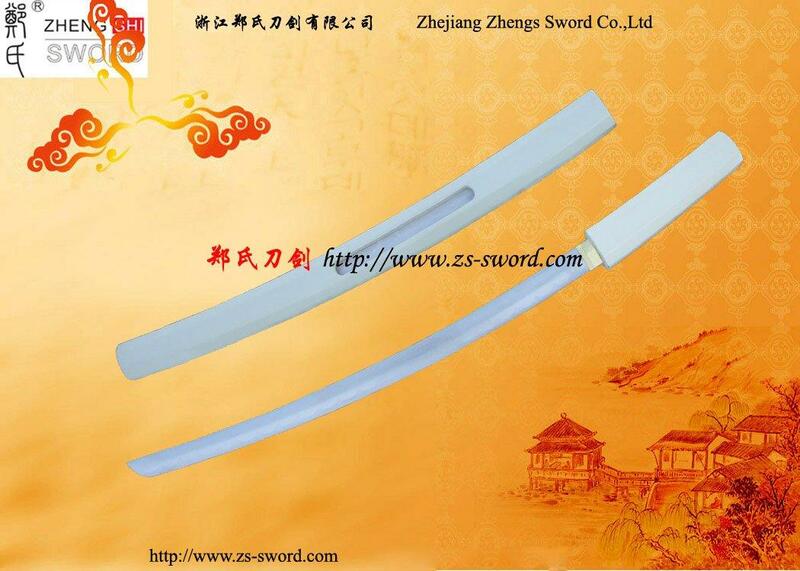 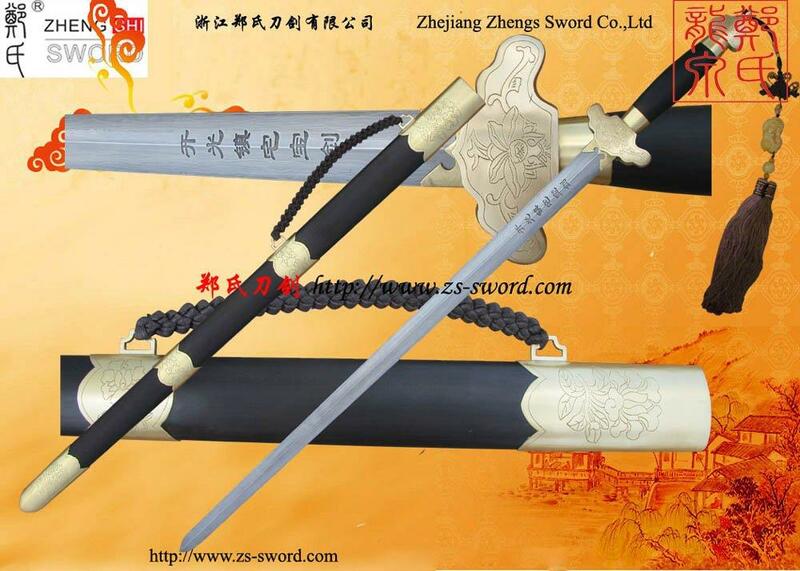 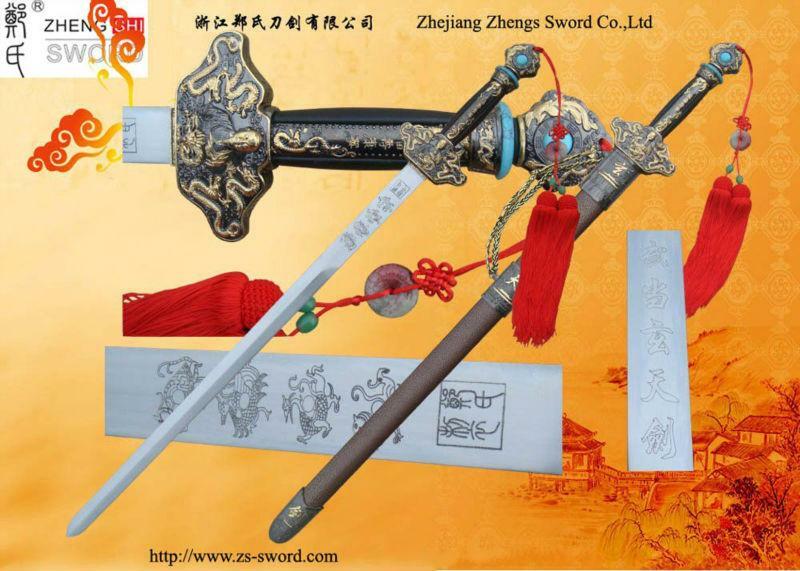 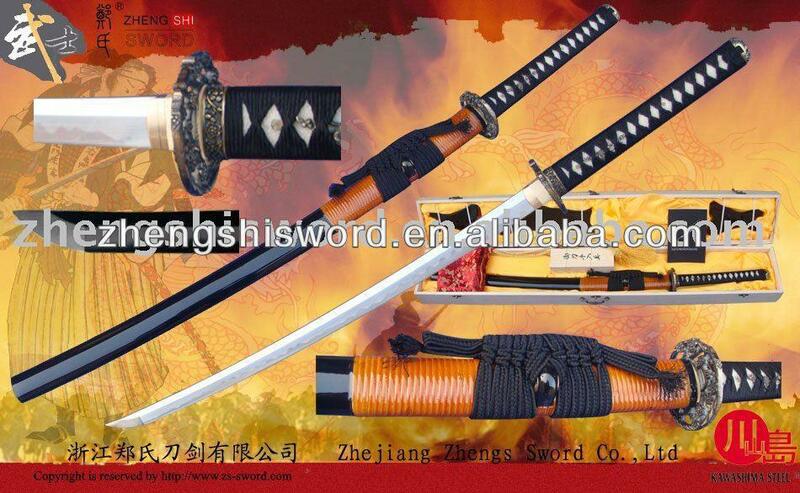 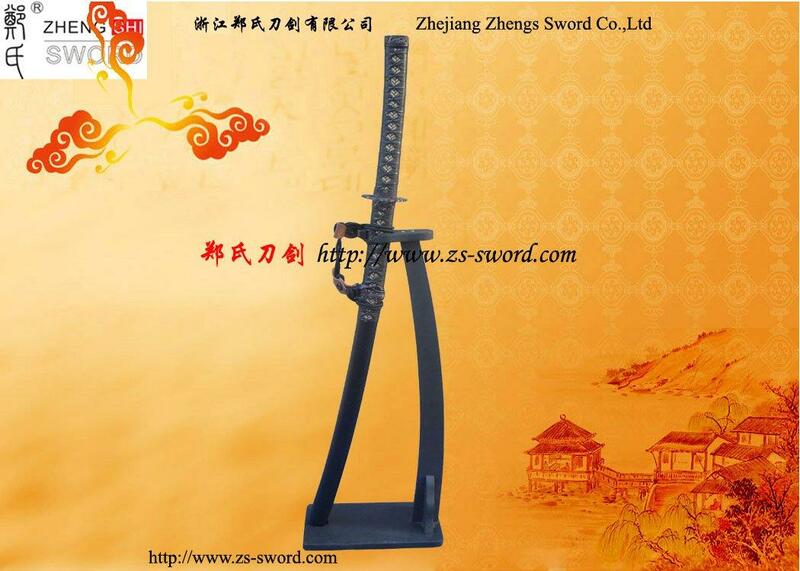 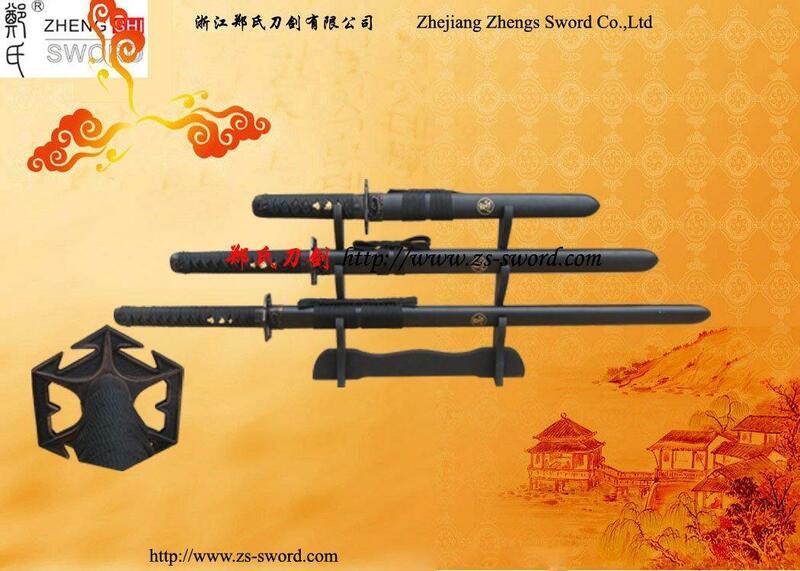 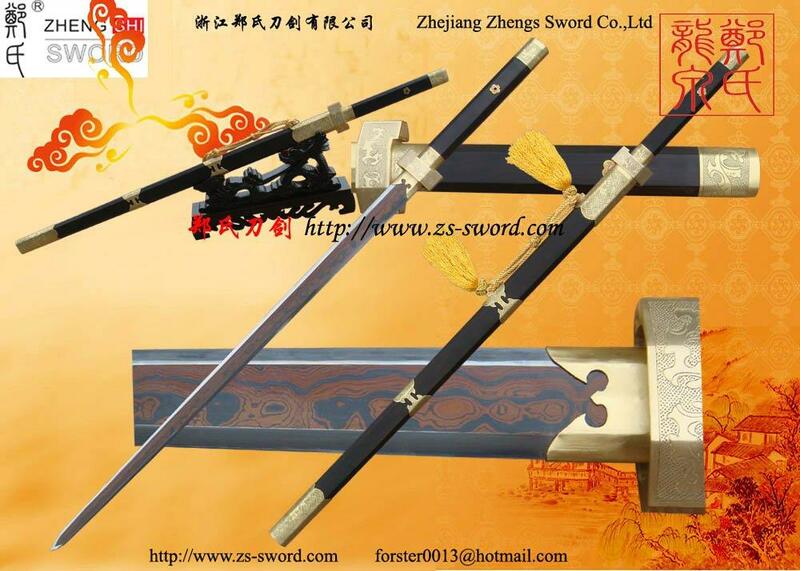 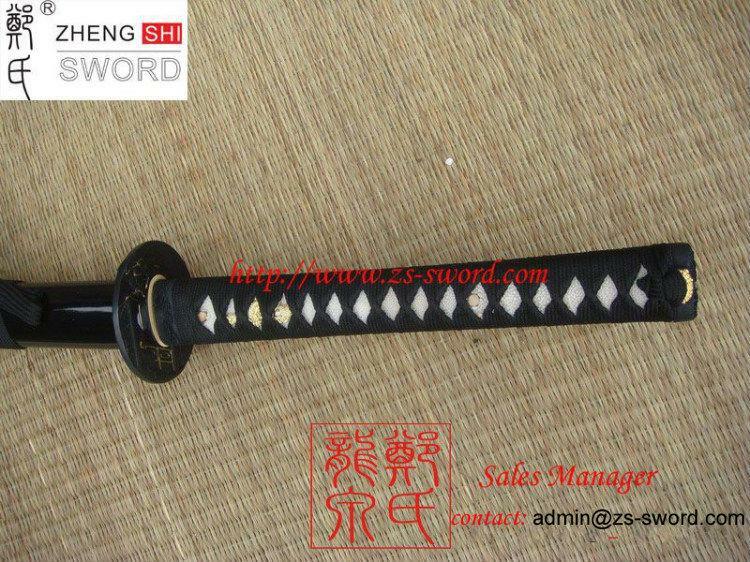 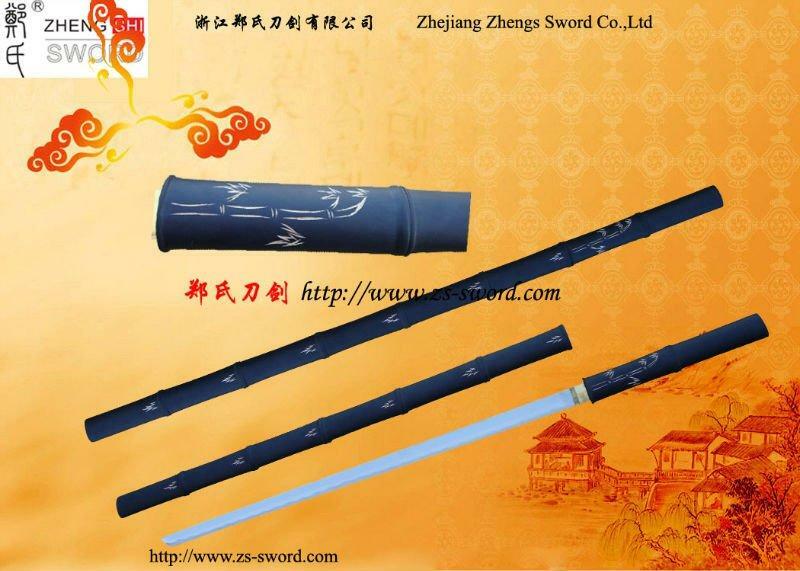 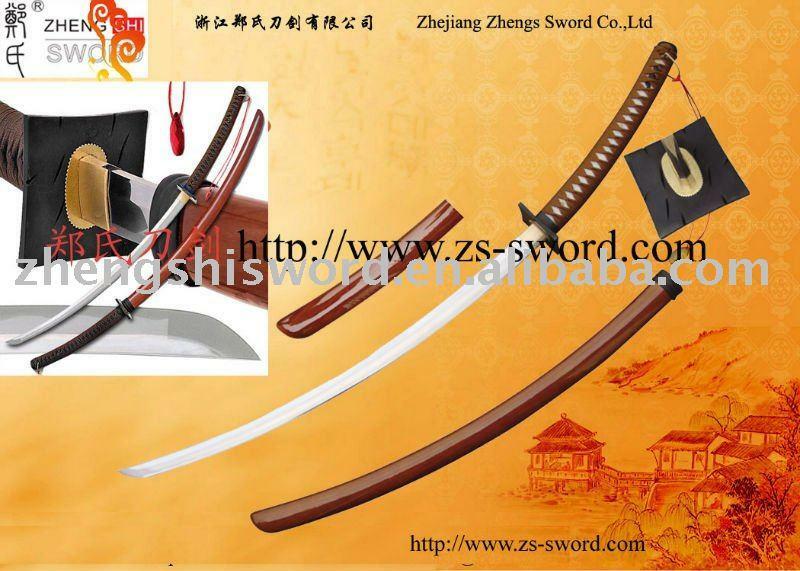 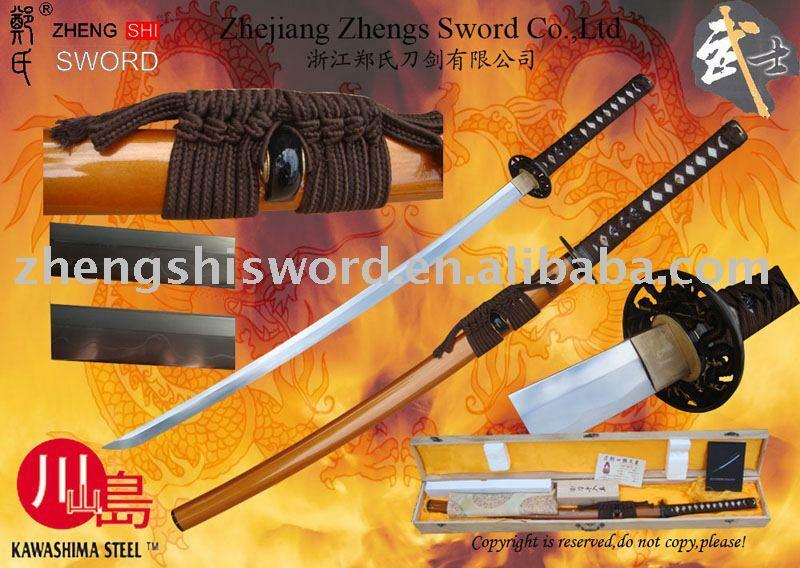 The guard of the sword is a zinc alloy,hard and strong,not like those in plastic. 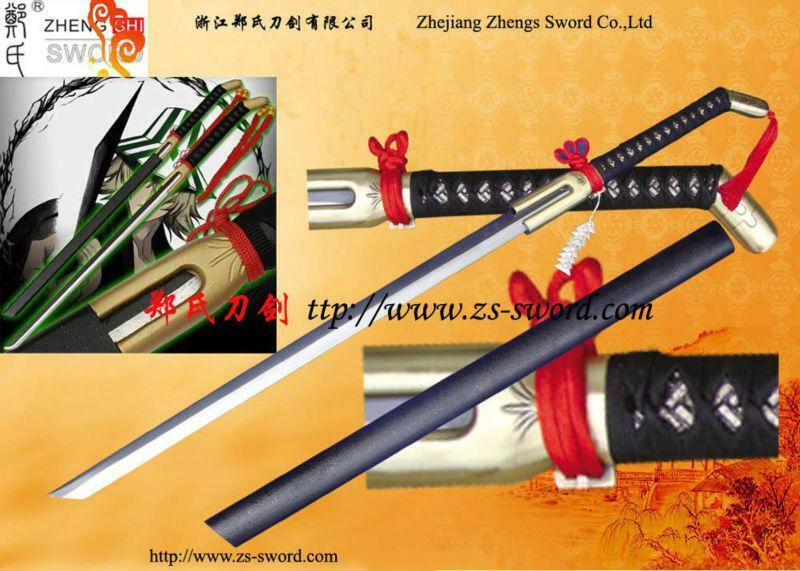 The handle of the sword is cord wrapped for exceptional handling. 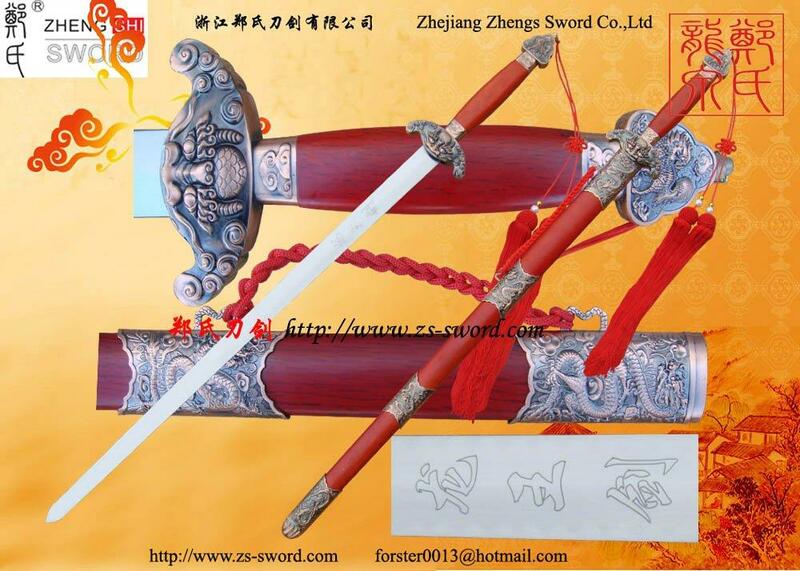 The scabbard of the sword is wooden . 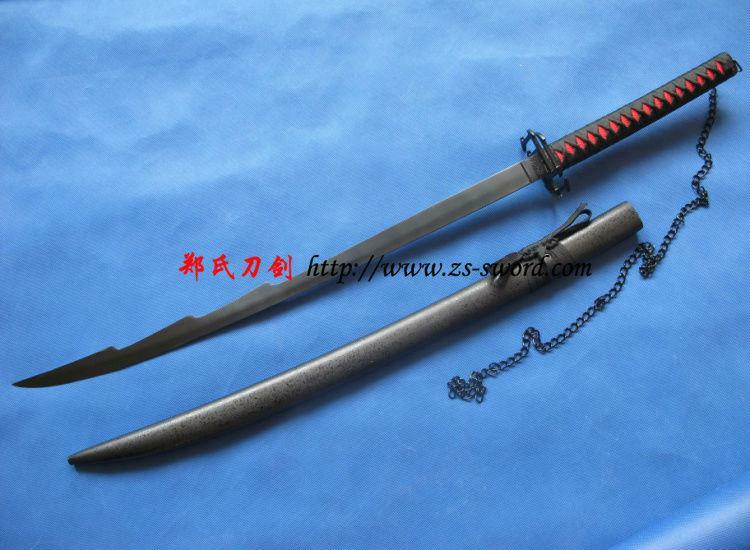 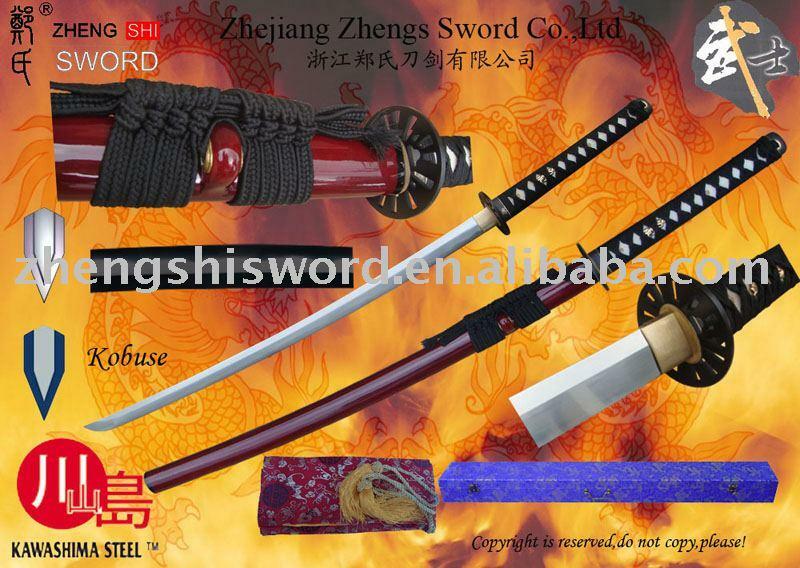 The includes the katana, Wakizashi,and a tanto.